This raw materials like waste films of PVC, HDPE and LDPE are extruded through the extruder, and then are cooled through wind and cut hotly into granules, featuring in fine quality, bubble free and moisture free. 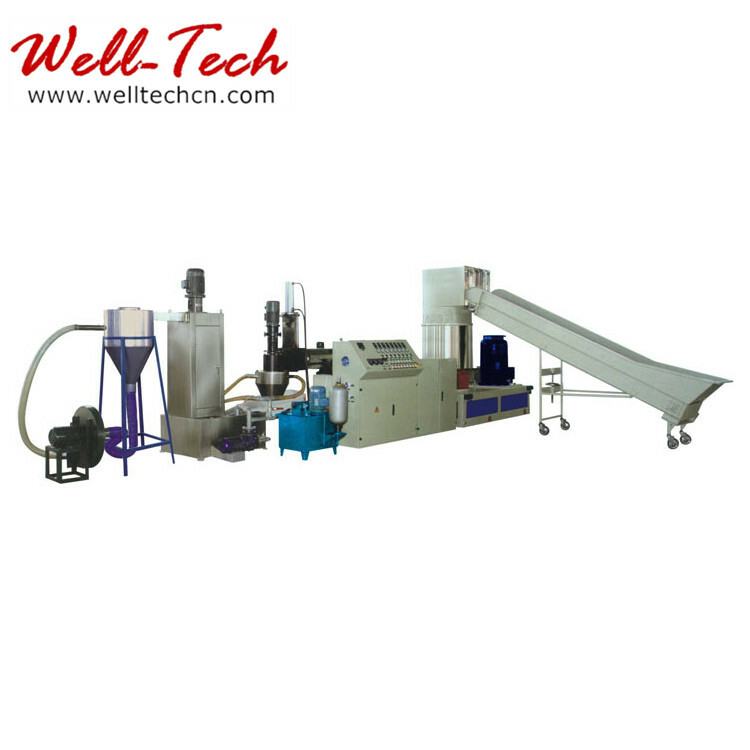 The machine is equipped with a forced feeder, fast screen changer and automatic temperature-controller. 1. hot-cutting & wind cooling. 2. It is equipped with automatic constant temperature, motorized net changer (hydraulic net changer is optional with extra charge). 3. It also can pelletize the crushing material after fitting with a loader. 4. 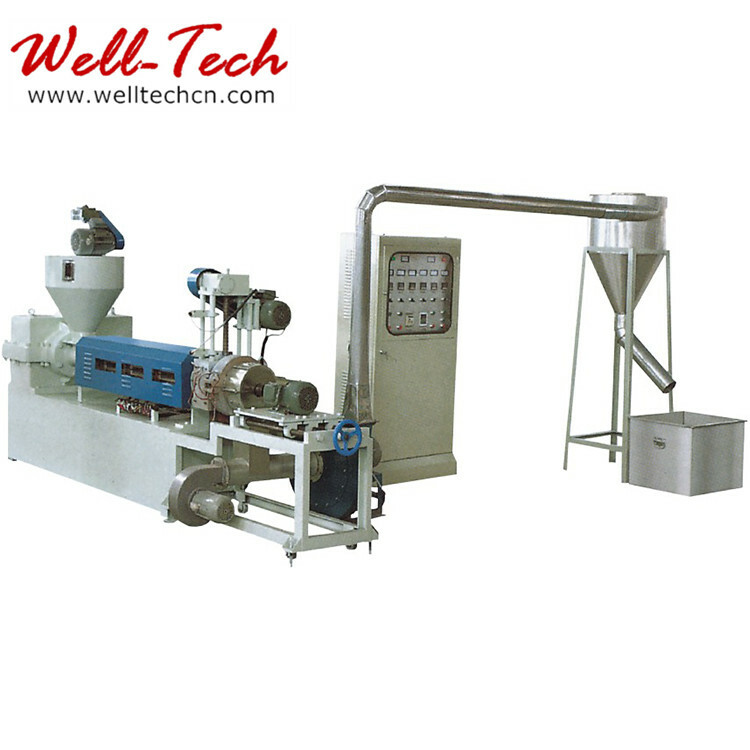 The cutting machine adopts speed regulating motor. 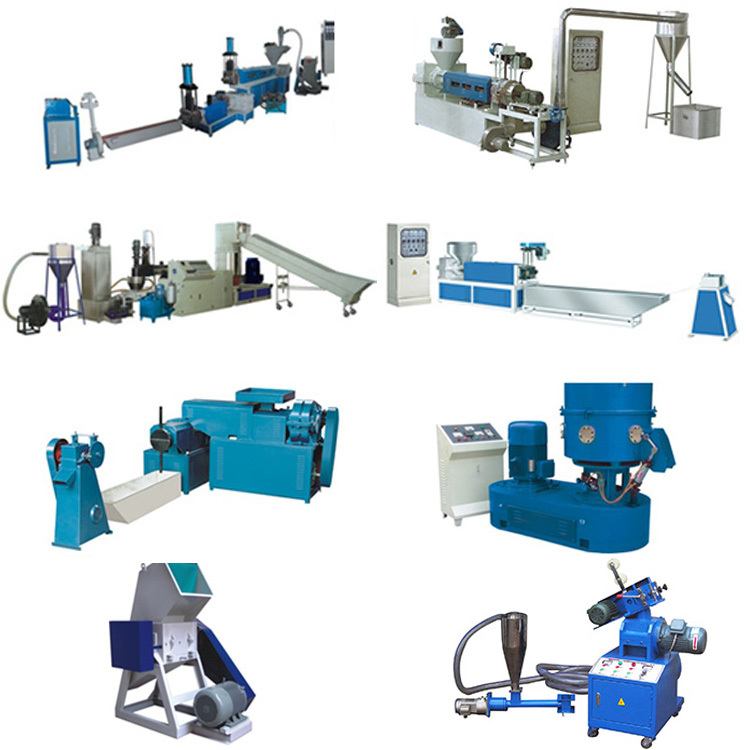 which can cut the material according to the feeding speed of the extruder, with such features as high output, low noise, stable performance and easy operation. 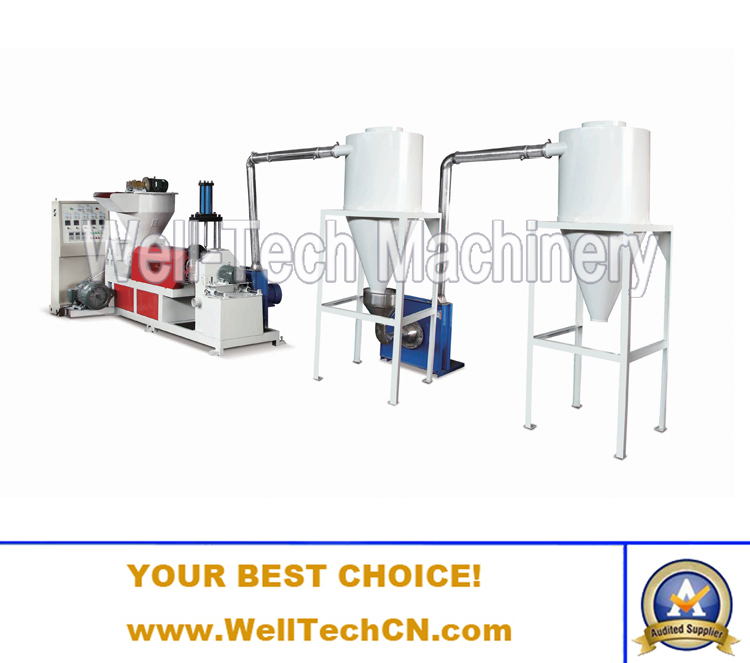 It is a more ideal waste plastic film regenerative pelletizer. 5. Feeding unit adopts force feeder. 7. Cylinder and screw are made of 38CrMoA1A with nitrogen treatment.